This is a DVD of music videos containing yodeling, whistling, flamenco guitar, piano improvisation with live performances as well as beautiful nature scenes, martial arts, and delightfully unexpected bird antics. 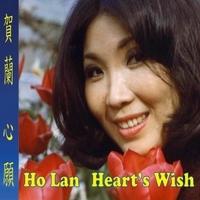 This delightful DVD album of music videos is carefully crafted to lighten the heart and bring joy to the viewer and listener, with eight Yodeling tracks sung by Ho Lan. It is suited for audiences ages 1-100+. It has adorable and funny bird action, including cardinals, pelicans, flamingos, tufted ducks, as well as dancing dragonflies. It also features a couple of live performances of Taiwan Yodeler Ho Lan from the 70s, which highlights her flamenco guitar playing in her arrangement of the traditional piece Dark Eyes. It also two videos which showcase the singing of Hsi-Ling Chang, and the piano playing of Hsia-Jung Chang, Ho Lan's two musical daughters performing martial arts. I love the green grass and trees of the mountains, the graceful white clouds. I love the valleys, and the mountain creeks that flow from clear secluded springs. I want to meet the world with a sincere heart, without vanity or superficial glamour. I will fight to make my own life, with Nature always close by. This is my Heart's Wish, to live a happy life of truth and goodness, without need for conflict with others. "Ave Maria" features the singing of my daughter Hsi-Ling Chang. Her pure and sincere voice is a reflection of her earnest approach to living life. I hope that you will be as moved by her singing as I am each time I hear this track. I would like to feature her vocal talents even more in our upcoming releases. Hsi-Ling's voice and my voice are very different, but I feel they blend together well on this track. Included in this DVD is a bonus track "Drunk on Taiji" from my daughter Hsia-Jung Chang's album "Inside the Piano - 21 Century Improvisations" - Mandala 04. Hsia-Jung discovered while practicing Taiji outdoors, that the rhythms of Taiji movements synchronizes with the rhythms found in Nature. These rhythms, expressed here through music and video, can induce a trance-like meditative state as one becomes inseparable from Nature, hence the name Drunk on Taiji. 這首「太極醉」是小女兒張夏榕既興創作, 以鋼琴音樂韻律模仿太極拳動作節奏. 她在樹下打太極拳, 聽風吹葉與太極動作相配合, 原來是大自然之韻律啟示了太極動作節奏, 忘其有己, 内外為一, 如悟又如醉. "Heart’s Wish is a journey of the senses into the pure beauty of music and nature filling my heart with joy. Its radiance calls me to return again and again to revel in the amazing singing and glorious nature scenes, a celebration of the exquisite talents of Ho Lan, her family and friends. Congratulations to all of you who are part of this stunning DVD!"